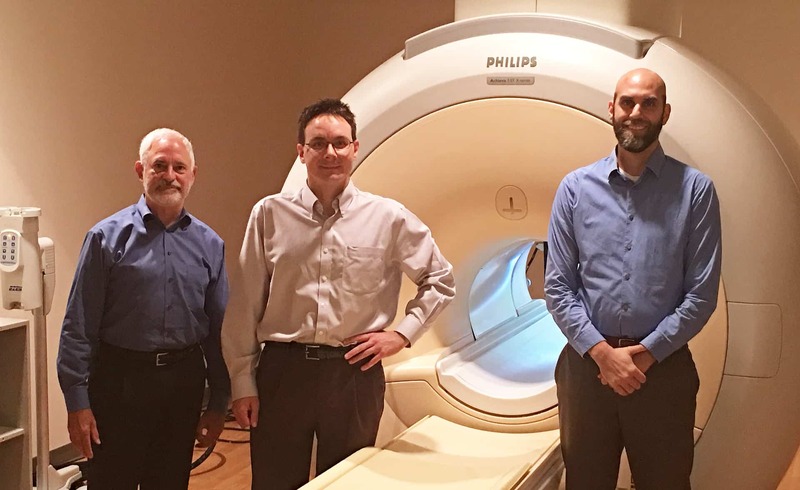 (From left to right) Clint Kilts, Ph.D., Andrew James, Ph.D.. and Keith Bush, Ph.D. will study the mechanisms of control of emotional responses of men and women using functional magnetic resonance imaging (fMRI). Aug. 3, 2017 | Aug. 3, 2017 | A team of University of Arkansas for Medical Sciences (UAMS) research scientists recently received a $422,610 grant from the National Science Foundation to study the mechanisms of control of emotional responses of men and women using functional magnetic resonance imaging (fMRI). Keith Bush, Ph.D., an assistant professor in the UAMS College of Medicine Department of Psychiatry, is the principal investigator of the study funded by the National Science Foundation, a federal agency that funds nearly a quarter of all basic research conducted by U.S. colleges and universities. He and co-investigator Andrew James, Ph.D., an associate professor in the Department of Psychiatry, are with the Brain Imaging Research Center, part of UAMS’ Psychiatric Research Institute. Bush, whose background is in computer science, plans to use the Brain Imaging Research Center’s MRI scanner to analyze the brain responses of 81 healthy people between ages 18 and 65. He will be studying multiple dimensions of human emotional expression — such as positive versus negative or levels of arousal — in an effort to understand the emotional responses of humans and how they control them. 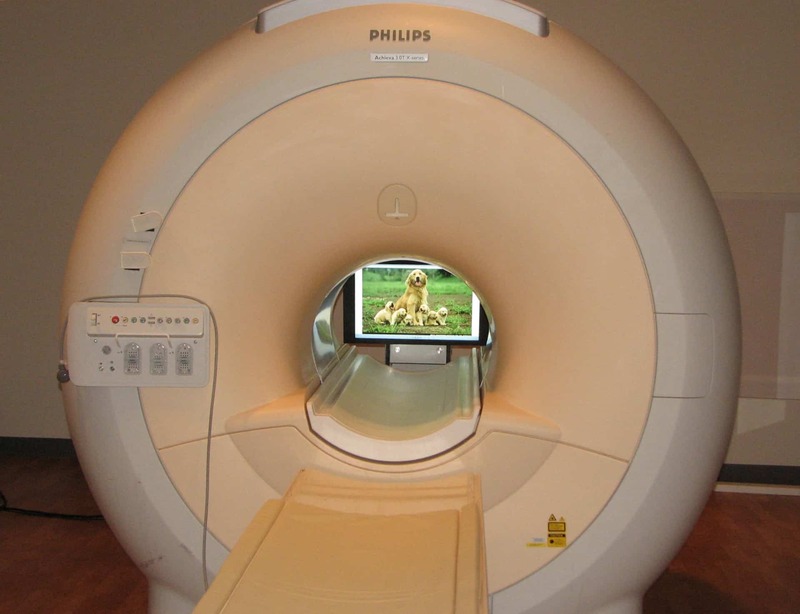 This shows an image like the ones that will be shown to subjects in the scanner. “We know relatively little as to how specifically we deploy control systems to regulate our emotional brain,” according to Clint Kilts, Ph.D., director of the Brain Imaging Research Center. “This makes this project vital in recognizing and correcting control issues for patients with problems like depression and bipolar disorder. 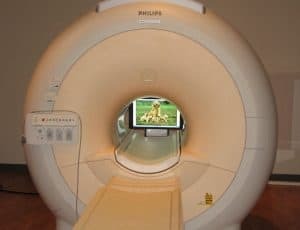 This study intersects the fields of affective and computational neuroscience, machine learning, engineering control systems and the technical advances of real-time functional brain imaging. Funding for this study was provided by NSF award BCS-1735820. More information about the award may be found at https://nsf.gov/awardsearch/showAward?AWD_ID=1735820&HistoricalAwards=false.